UV protection is one of the most important things you need to think about when heading to the beach. Sunburn is not only painful but also can cause long-term damage to the skin. 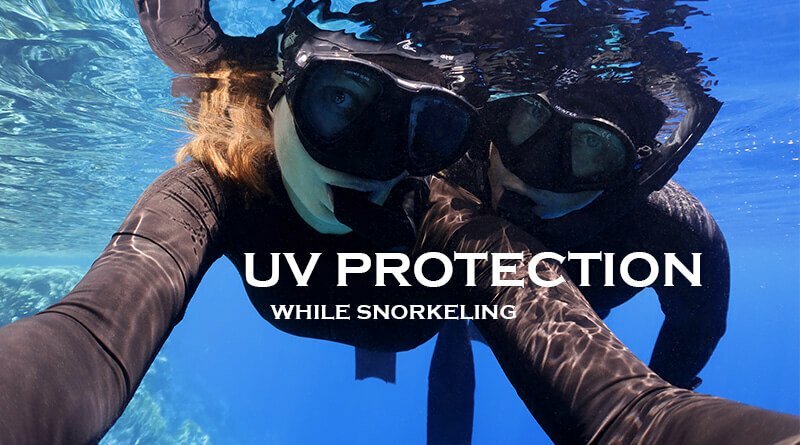 With our advice and tips, you can learn what the best way is to protect your skin against harmful UV rays, what sun protection clothing to wear when going snorkeling, and what the best beach sunscreens are. 1.1 What does UV protection mean? 2.1.2 What does UPF mean? Protecting our skin from harmful UV rays is something that we should take care about every day but it is crucial on the beach and while water activities. As the holiday season approaches, you need to prepare your skin for the strong sunlight. You don’t get enough sunlight during winter months and your skin turns pale that burns easily. But don’t be mad thinking you will get a tan on the first day of your holiday on the beach! Start out by spending 10-20 minutes in the sun wearing UV protection clothing and SPF 30 sunscreen. Gradually increase the time letting your skin get a tan slowly without burning. Sun protection even more important when traveling for a tropical holiday in winter when the skin is even more sensitive towards strong sunlight than during summer months. Sunlight contains 3 different type of UV rays: UV-A, UV-B and UV-C. You can hear mainly about UVA and UVB rays skin-damaging effects since UVC rays are absorbed by the ozone layer meaning no threat. UVA rays penetrates the skin causing aging and wrinkling. Moreover, the damage can lead to skin cancer too. UVB rays are responsible for sunburn and also linked with skin cancer and melanoma development. Preventing sun damages is a complex yet easy-to-learn practice that includes wearing UV protection clothes, sunglasses, applying sunscreen and avoiding staying in the sun at peak times. 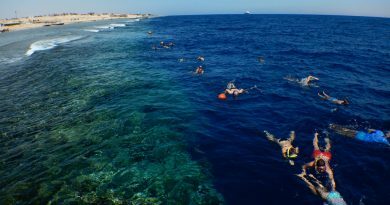 The chance of getting sunburn is even higher while snorkeling because the water reflects the sunrays. Therefore, taking care of high–level UV protection is crucial if you plan water activities! During snorkeling, the most compromised areas are the head, the shoulders, the waist area, and the calves. For the best protection, wear high UPF swimming suit, cover the head and apply ocean safe sunscreen on the uncovered areas! Clothing is the simplest and most important line defense against sun rays. Even your everyday clothing provides UV protection. For example, a normal white cotton T-shirt has UPF5 protection. It is better than nothing but not effective for staying a long time in the sun. The best way to avoid sunburn is wearing special UV protection clothing with high UPF rating that effectively absorbs and blocks the harmful radiation. 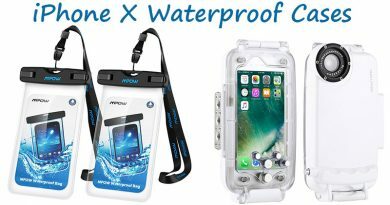 These lightweight, high-elasticity and fast-drying materials are the best to wear on the beach and for any water activity! As mentioned above, all clothes provide a certain level of sun protection but fabrics with spaces between the fibers are not effective in blocking harmful UV rays so they can reach the skin. Tightly woven, high-density synthetic fibers like lycra, nylon, polyester offer great protection. The color is also important. Dark and vivid colors block harmful UV rays more effectively than light ones. It is also important that if the fabric gets stretched, thin and transparent, it loses the majority of its sun protection feature. To be on the safe side, buy clothes that have at least UPF30 rating! Ultraviolet Protection Factor represents the fraction of UV rays can penetrate the fabric and used to indicate the sun protective feature of clothing. UPF is similar to the SPF rating for sun care products. It was originally enhanced by the American Society for Testing and Materials Committee. The higher the UPF, the better the protection. UPF50 rating means that the fabric will allow 1/50th of the UV to pass through the fabric. In other words, it blocks approx. 95 % of the UV-B rays and 98 % of the UV-A rays. After ruining our holiday a couple of times due to sunburn, I learned the lessons well and never leave for a snorkeling holiday without UV protection clothing. Rash guards and swim shirts are the best for active water sports offering high-level sun protection and allowing free movements thanks to its properties. But what is exactly a rash guard? These type of clothing used mainly for water sports protecting the wearer against irritation, rash, and sunburn. Thanks to the high elasticity, light spandex, polyester and nylon fabric it is lightweight and doesn’t limit movements. Rash guards originate from Australia where they are called rashies. 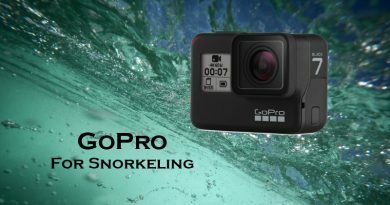 Nowadays they are used all over the world for any kind of water activity like snorkeling, diving, kitesurfing. Another important factor is that rash guards provide protection not only against sun rays but also against jellyfish stings! UPF swim shirts are usually loose fitting than rash guards but can be used the same way for protecting the skin against sun exposure. The more areas you cover with UV protection clothes the better! Therefore, we recommend getting UV protection long sleeve shirts, pants or even a full body UV protection suit. Your head is almost all the time out of the water during snorkeling, and the wet scalp can burn faster than other parts of your body. Don’t think you only need sun protection if you have bald head since hair doesn’t protect the delicate skin on your head. Sunburn on your scalp could be painful and dangerous (think about heat stroke). Moreover, skin is very sensitive on the neck and on the ears too. 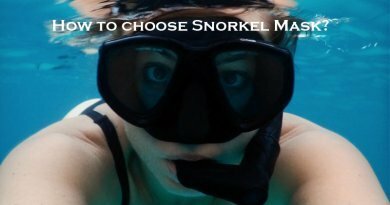 Therefore, we recommend never go snorkeling without taking care of your head sun protection, even if you plan a short session only. You can wear hooded rash guard shirt or full body UV protection suit with hoodie. Also, you can get head sun protection items separately as well. Swim cap or UV protective swim bandana works the best. But alternatively, even a simple multifunctional sport headband can do the job too! 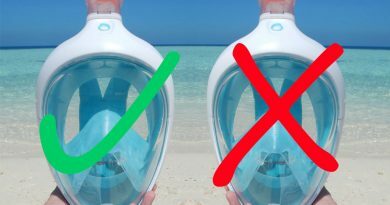 For responsible snorkelers and ocean lovers, when buying a sun lotion it is important that it is safe for the reefs and biodegradable. Our advice is to use a full-body rash guard as the main protection so that you can minimize or even skip using sun lotion. Never buy sun care products that contain dangerous ingredients like Oxybenzone and octinoxate. Mineral sunscreen with non-nano Zinc-Oxide and/or Titanium-dioxide are safe to use like the ThinkBaby Safe sunscreen or Raw Elements Natural Sunscreen products. For more information in this topic and to know how mineral sunscreen work, read our detailed ocean safe sunscreen post!